MARTINS FERRY — Martins Ferry City School District is the National Education Foundation’s Science Technology Engineering and Math Academy of the Year — a distinction that was rewarded with a check for $10,000 during a ceremony on Friday. He added he was proud of the students, staff and administrators. Steubenville City Schools, as well as school districts in Canton, N.Y., Lehighton, Pa., and Warren County, Pa., were recognized with S.T.E.M. cash awards by NEF. Fogle credited the hard work and dedication of all involved for making the district’s success possible. He praised the teachers who set and met goals and the administrators who implemented the plans, as well as the students’ efforts. Fogle added that while the district is proud of its great sports tradition and reputation, the district’s primary goal always will be education of the students. The school district welcomed Appu Kuttan, CEO and chairman of NEF. Kuttan said he was impressed by the inventiveness and motivation of the students. For added motivation, he pointed out next year’s prize will be $50,000. Kuttan stressed the importance of learning the elements of S.T.E.M. and of hands-on application of those lessons through project-based learning. Anthony K. Betrus, national director of NEF, said he was impressed by the progress made in the Purple City. “Two years ago I came down for their kickoff academy. I stopped at your local toy store and I picked up a Sphero Spark, which is a small little round robot, and I demonstrated it in front of the auditorium to ‘spark’ their interest in robotics, S.T.E.M. tools and building, and now I come back two years later and they’ve got multiple Sparks in the room. They’ve got Sphero Olli. 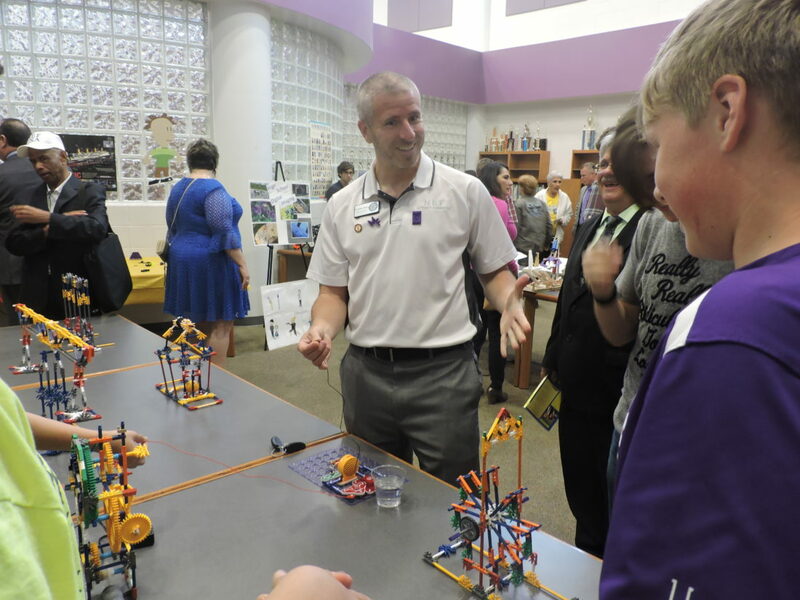 They’ve got Fischer Technic, and the kids are building fantastic (projects),” Betrus said. The event concluded with a physical challenge contest with a prize of $1,000. Kuttan won and donated the money for a pizza party for the school.